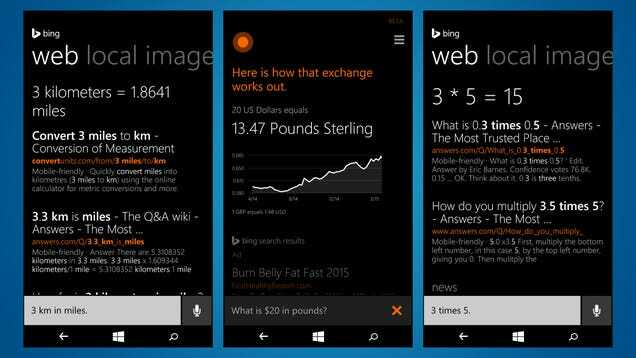 Cortana is coming for you, Siri and Google Now. 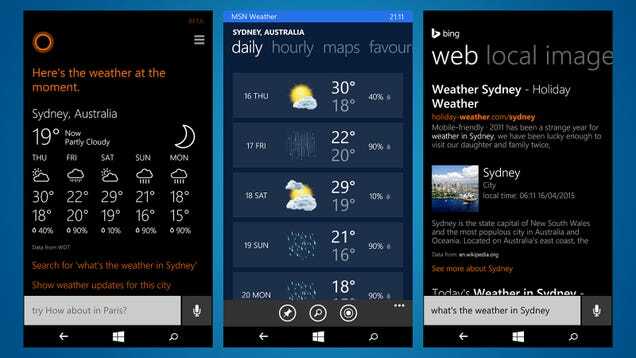 An integral part of Windows Phone — which is also rumoured to be making the jump to Android and iOS, and about to be everywhere with the launch of Windows 10 — the personal assistant is fast becoming one of Microsoft’s most useful apps. Check how the weather is looking somewhere else if you’re heading away or in your hometown if you’re staying right where you are. You get the current temperature and conditions as well as a five-day forecast. 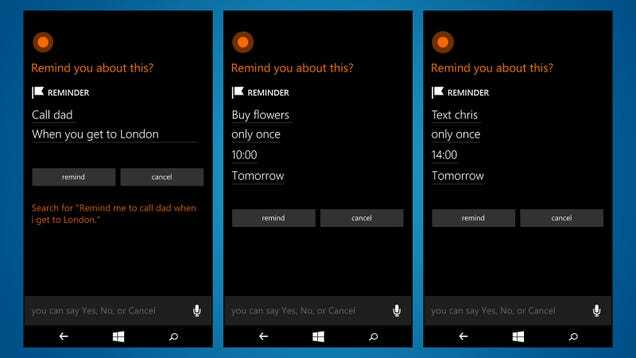 One of Cortana’s best features is the way it can remind you to do something at a particular time, or in a particular place, or when you’re communicating with a particular person. The content of the reminder is up to you. When you first set Cortana up you’ll be asked about your various interests, from sports to tech, and this command brings up the latest stories in your chosen areas. 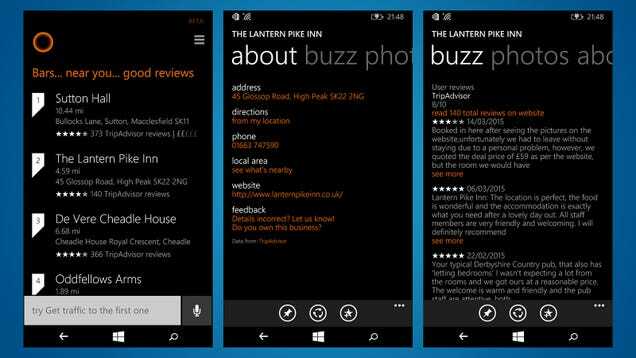 Cortana even reads out the top headlines for you. Whether you’re driving along the motorway or holding a bag of groceries in your other hand, hands-free texting can be useful in many different scenarios. 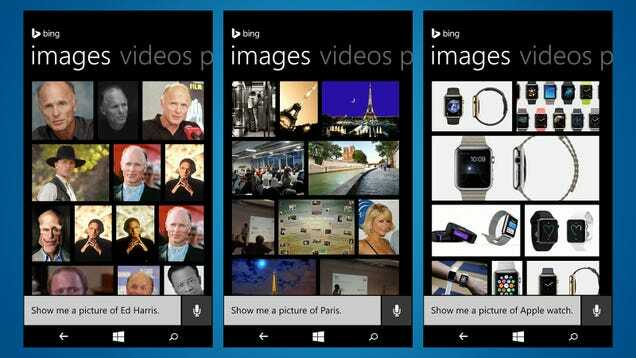 Say “text” followed by a name and your message and Cortana will do the rest. You may have heard that Bing is pretty good at predicting sports scores based on previous data. 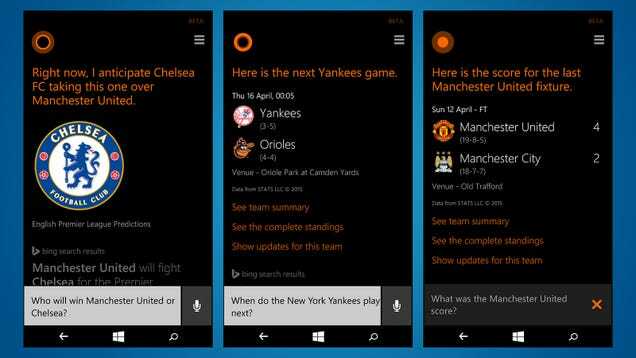 You can ask Cortana to predict the outcome of a major game as well as look up fixtures and results for your favourite teams.